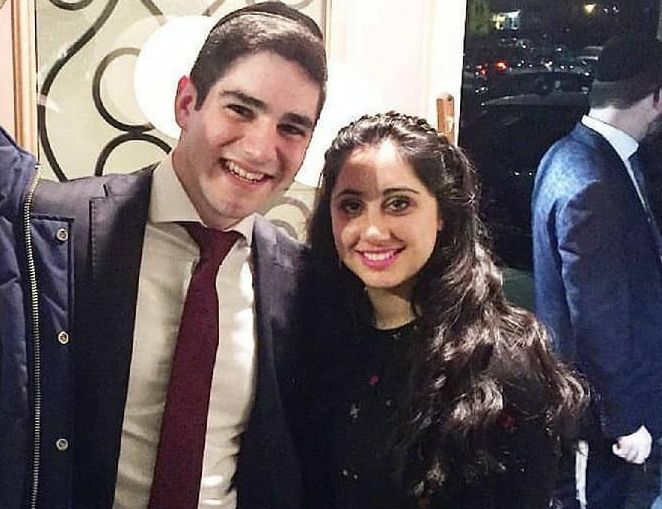 Two people responsible for the horrific deaths an engaged couple, of Yisroel Levin Z”L (21) and Elisheva Kaplan A”H (20), were arraigned today on grand jury indictment charges in a Nassau County courtroom. Nassau County District Attorney Madeline Singas announced the charges for 25-year-old Zakiyyah Steward, and 35-year-old Rahmel Watkins. The young couple were engaged and soon to be married, when the two suspects were drag racing down the Nassau Expressway slammed into the couple in a fiery and horrific crash. The couple were R”L killed instantly. Bail was set at $1 million bond or $500,000 cash for Watkins and $500,000 bond or $250,000 cash for Steward. The defendants are due back in court July 18. If convicted of the top counts, Steward faces 8-1/3 to 25 years in prison and Watkins faces five to 15 years in prison. 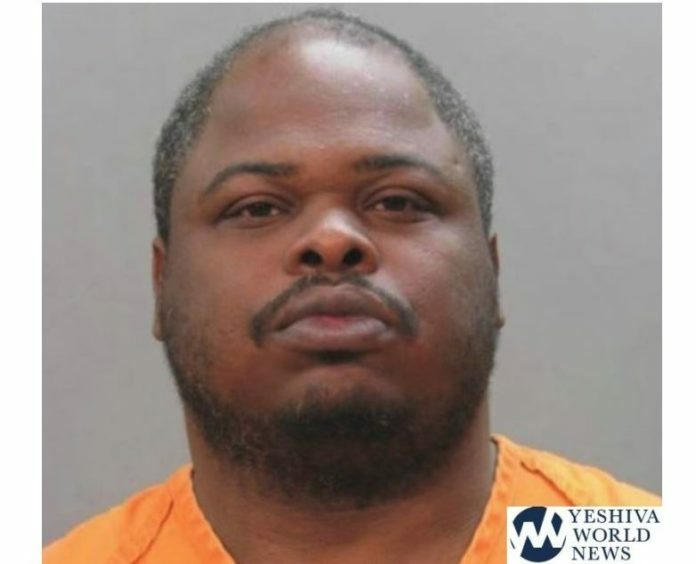 “This indictment alleges that Yisroel and Elishiva’s lives were stolen, just as their lives were about to begin as a married couple, by the defendants who recklessly drove too fast in bad weather and while one of them was intoxicated,” DA Singas said. “Nassau County will not tolerate this kind of unconscionable disregard for life. My heart goes out to the Levin and Kaplan families. DA Singas said that on April 4, 2018, at approximately 1:40 a.m., defendants Rahmel Watkins and Zakiyyah Steward were allegedly part of a group of cars traveling in the northbound lanes of the Nassau Expressway in Inwood from Far Rockaway to a Queens casino. Defendant Watkins was allegedly operating a 2010 BMW 550 GT recklessly and at a high rate of speed when his vehicle crossed over the double yellow lines and struck a 2017 Nissan Altima head-on being driven by 21-year-old, Yisroel Levin, with his 20-year-old fiancé, Elisheva Kaplan in the passenger seat. They were returning home from a Passover gathering and were to be married this month. The Altima burst into flames, was pushed backward and continued to burn, killing Mr. Levin and Ms. Kaplan. Watkins then struck a silver Infiniti being driven by James Hamilton, fracturing his spine and causing injuries to his ankle and knee. 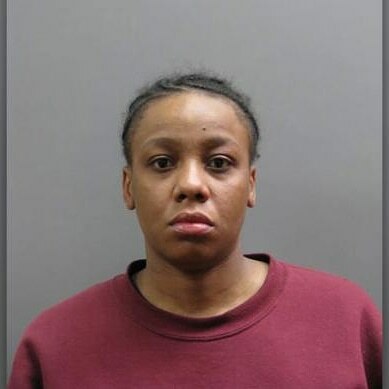 At the same time, Defendant Steward was allegedly driving a 2016 Hyundai Genesis next to Watkins while allegedly driving at a high rate of speed, while intoxicated and impaired by marijuana. Steward’s vehicle also struck Mr. Levin’s Altima. The defendants suffered minor injuries in the crash. As previously reported on YWN, a Brooklyn judge has admitted he had been too lenient with Zakiyyah Steward, twice sending the 25-year-old into a rehabilitation program after being convicted for a brazen burglary spree, and ignoring prosecutors requests for incarceration. “The Levin and Kaplan families have been devastated by the loss of Yisroel Levin and Elisheva Kaplan. surrounded by their loving families and friends. magnified in the less than three months since April 4th. being performed by friends and strangers alike as a merit to their memory do provide a degree of comfort. But nothing can replace Yisroel and Elisheva. We thank the Nassau County District Attorney’s office and the Nassau County Police Department for their diligent, resourceful, and professional efforts. There is nothing, NOTHING, that can be considered payment for what they did. I think of Yisroel constantly. The pain is still everpresent in my life, although it has dulled somewhat. Yisroel was a gem, someone who was able to walk into a room of complete strangers, and walk out leaving them all with the feeling that they just gained a new best friend. And they actually did. There were so many countless times that Yisroel saw that I was having a hard day or feeling down, and he would come over, give me a pat on the back, a well placed compliment and the feeling that I was worth a million bucks. He was so full of jokes, so full of laughter, but never did he use his sense of humor to hurt anyone. I personally wittnessed him trying to stop a group of kids from bullying another who had some social issues. Hes was probably 14 then. And I’ll never forget the look of pain on his face when he saw the kid getting hurt. This last purim he gave me a hug and said “I love you” I obviously replied in kind “I love you too”. And then he turned to me, suddenly crying, and he said “you don’t mean that do you?”. And I just couldn’t stop thinking about how it would be possible for Yisroel to believe that I didn’t love him. Everybody did, because it was clear as day that he loved them. Why would he be surprised? And I realized then that Yisroel treated others like royalty because he loved each and every person. It didnt even cross his mind that he should be treated in kind. Everybody felt like his family because to him they truly were. I don’t want anyone to think that I managed to capture even a fraction of the man Yisroel was. You can’t paint a picture of one who epitomized pure and utter wholeness. I’ll forever miss him. And so will countless others. I didn’t realy know Elisheva. But I do know that If Yisroel took to her, she must’ve been an incredible personality as well. Over the past few years Yisroel always talked about sending “packages” to his brother (Ahron ben Yeshayahu HaLevi). Everyone try to send some packages to Yisroel ben Yeshayahu HaLevi and Elisheva Basya bas Yechiel Ephraim. May their Neshamos have Aliyos. It is disgusting how that irresponsible ultra liberal idiot judge who let Steward off the hook is not being locked up in Rikers for all the bloodshed he caused. I finally was able to watch a video on yeshiva world news. keep it up! Are those peoplein jail yet? ?